Since I’ve come to the end of my first term at University and I’ve only made a single post since starting, I thought I’d better make one now to give an update on what I’ve been up to! So far the course has went well, and while providing a steady workload and a challenge, hasn’t been too difficult to cope with and I’ve also joined a couple of societies. In my previous post, I mentioned the Raspberry Pi challenges that were taking place in my first week. I took part in both Battle Pi and Blue Pi Thinking, and while I didn’t win any of them, they were both a lot of fun and the event was a great way to start getting to know people. Over the past few weeks me and some others who took part in the Blue Pi Thinking competition have been presenting talks and demos to prospective students at their interview days, to let them know about the Raspberry Pi challenges, which they’ll have the chance to take part in if they come to York next year. There was a great video made at the event, which I’ve embedded above. 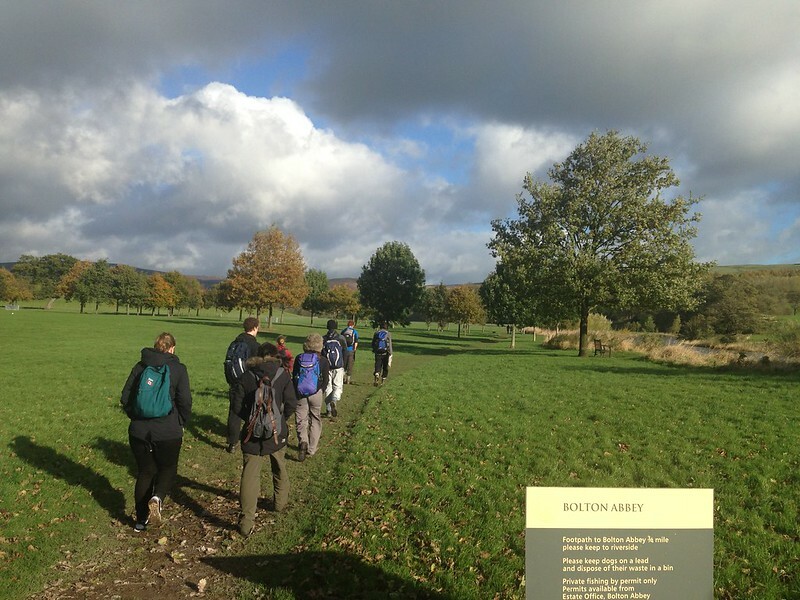 One society I’ve joined is Outdoor Society, which runs walks in various parts of Yorkshire every Sunday. They offer medium length walks of around 8-10km as well as longer walks for the more experienced So far I’ve only been on two medium walks, but next term I intend to go on at least one of the longer walks! I’ve also been getting involved in the electronics society, ShockSoc. Despite being one of the few members not actually studying electronic engineering, I’ve really enjoyed it so far, everyone is very friendly and I’m not feeling too out of my depth on the technical side of things. We have lab sessions every Wednesday, where we go to the electronics labs and work in groups on a project. I’m in a group working on building an RC plane, the FT Old Fogey, so I’ll probably be posting about the progress of that at some point! On the 26th of October me and some other CS students formed a team and took part in a programming/cybersecurity related competition called ‘Capture the Flag’, held in the department by BAE Systems Detica. Our team came 11th out of 20, which wasn’t great but not bad either considering there were second and third years taking part too. I learned a lot and had a good day, and also managed to get a free mug and t-shirt at the end! That about rounds up the main events of my first term, currently I’m enjoying a break for Christmas as well as preparing for the January exams in Mathematical Foundations and Human Aspects.